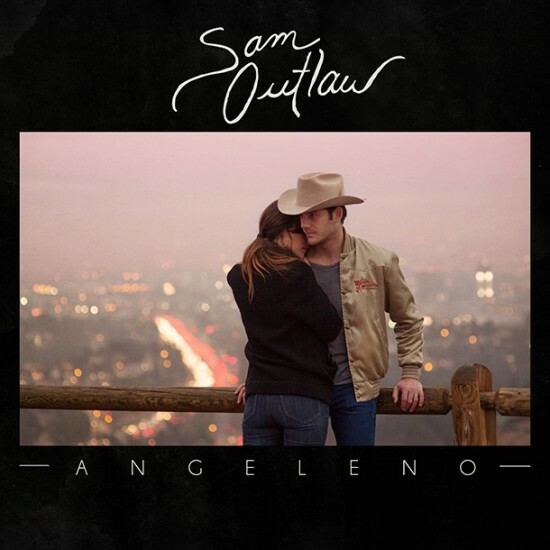 The publicity material for Sam Outlaw stresses that “Outlaw” is his bonafide surname (it’s his mother’s maiden name). But the unlikely transformation of Sam Morgan, who until last year was working as a successful ad-sales director, into Sam Outlaw, SoCal country music vanguard, is a much more interesting story. Angeleno, Outlaw’s second full-length album, is poised to become the 32-year-old singer’s breakthrough record. In a very short period of time, Outlaw has proven himself to be a seasoned practitioner of country music and its many dialects. As one of his songs puts it, Outlaw sings nothing but “country love songs,” but he approaches them from the various angles and wide-ranging perspectives afforded to him by his genre of choice. He assumes the role of smitten romantic (“Love Her For A Little While”), sensitive wanderer (“Country Love Song”), and lovesick depressive (“It Might Kill Me”) with equal grace and conviction. And when the singer takes up pure honky-tonk on “Jesus Take the Wheel (And Drive Me To a Bar),” he teeters between tongue-in-cheek homage and genre caricature, ultimately playing the song just straight enough to land on the side of the former. It’d be remiss not to mention Angeleno’s production, courtesy of Ry Cooder and his son Joachim. Their richly rendered arrangements, from the mariachi horns on “Who Do You Think You Are” to the bursting strings on the title track, give Outlaw’s material the force they deserve. As an album, Angeleno holds up time and time again. The one-two punch of “Keep a Close Eye on Me” and “Old Fashioned,” are a welcome surprise toward the end of an otherwise confident batch of tunes. “I’ve been waiting for you to guide me,” he sings in “Old Fashioned,” a song whose narrator pines for a kind of storybook love so pure it feels like it only ever existed in the distant past. For anyone who feels similarly disenchanted about country music, Outlaw’s songs – closely bound to tradition, endlessly romantic – are the perfect remedy.